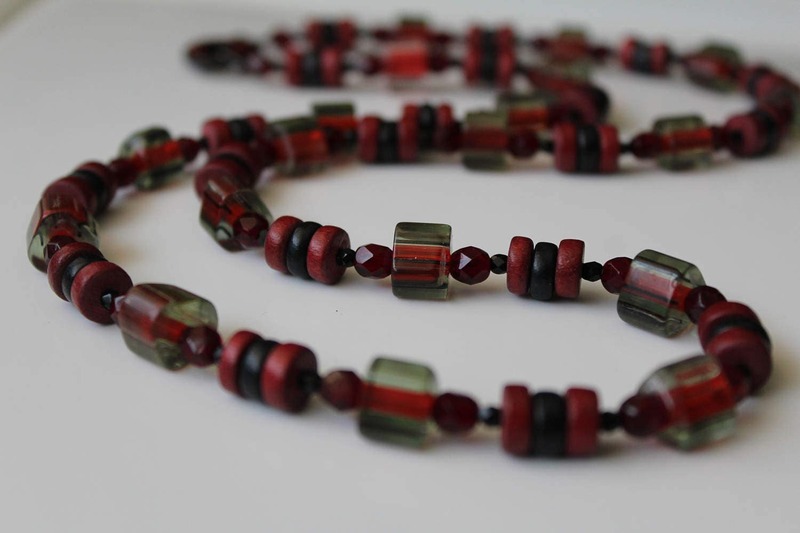 A combination of red and black, glass and wood beads, make up this long beaded necklace. It has a pretty link closure, so all you need to do it slip it over your head to wear. Easy on, easy off. 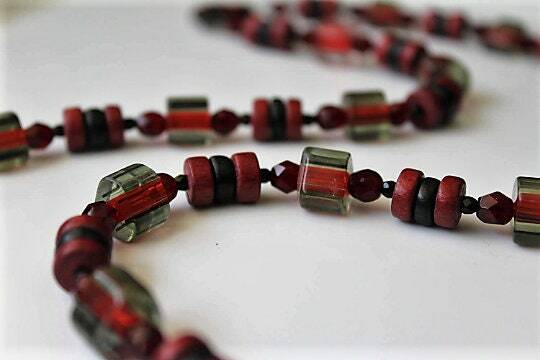 If you love the combination of red and black or if you wear either red or black often, this necklace is a great "grab and go" piece. 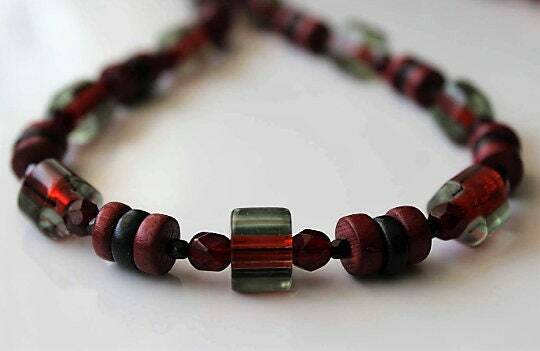 The entire necklace is approximately 30 inches long. 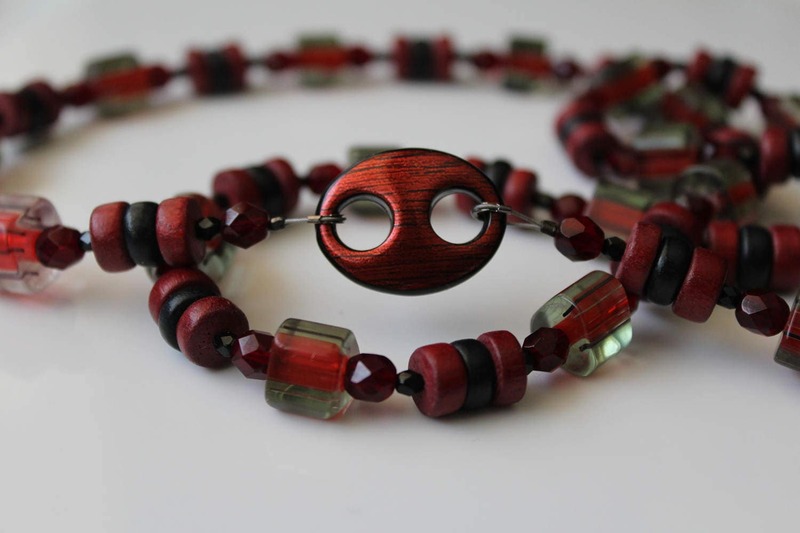 Red/Black wood beads are approximately 1/8 of an inch wide. 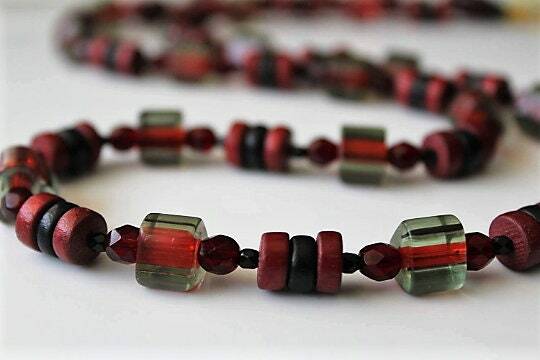 Clear Beads with red and black stripes are over 1/4 inch wide. Link Closure is one inch long.